The global energy transition and the shift to renewables from fossil fuels is likely to reduce energy-related conflicts, says a report published by the Global Commission on the Geopolitics of Energy Transformation. The transition will “help redraw the geopolitical map of the 21st century,” as the supply of energy will no longer be the domain of a small number of states, says the report. April 24 marks the 15th anniversary of my initial entry into Baghdad as the senior oil advisor to retired Lieutenant General Jay Garner, our US government civilian leader in Iraq. It was the beginning of my six plus years in Iraq working on the oil sector and denying the allegation that the Iraq war had an oil agenda. I can no longer refute such an allegation. 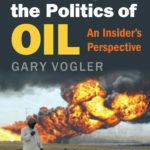 Was there an oil agenda for the Iraq war? If you had asked me that question four years ago, I would have said no, absolutely not. And, I said no on national television in 2014. “Ten thousand more dead civilians in the Middle East, in a region that’s seen 1 million in the last 30 years, by my count… are not going to deter the Saudis and the Israelis from acting against this threat,” he said. With his remarks, Edelman made it clear that U.S. officials continue to value the Middle East for its oil. The region “contains half of global proven oil reserves, accounts for one-third of oil production and exports, and is home to three of the world’s four biggest oil transit chokepoints,” he explained. For Saudi Arabia to break its “addiction” to oil sounds a bit like the Catholic Church trying to end its addiction to Christianity. It is not only the world’s largest oil exporter; it also sits on the world’s largest oil reserves. But this was indeed what the man overseeing the Saudi economy, Deputy Crown Prince Mohammed bin Salman, proposed in the Vision 2030 plan, launched last week. 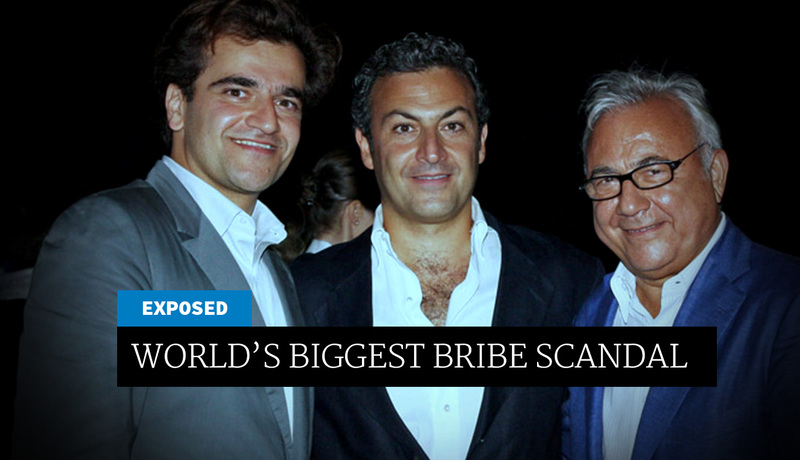 A global bribery scheme that implicates leading Western multinationals and government officials has been exposed by the leak of confidential files in the oil industry. 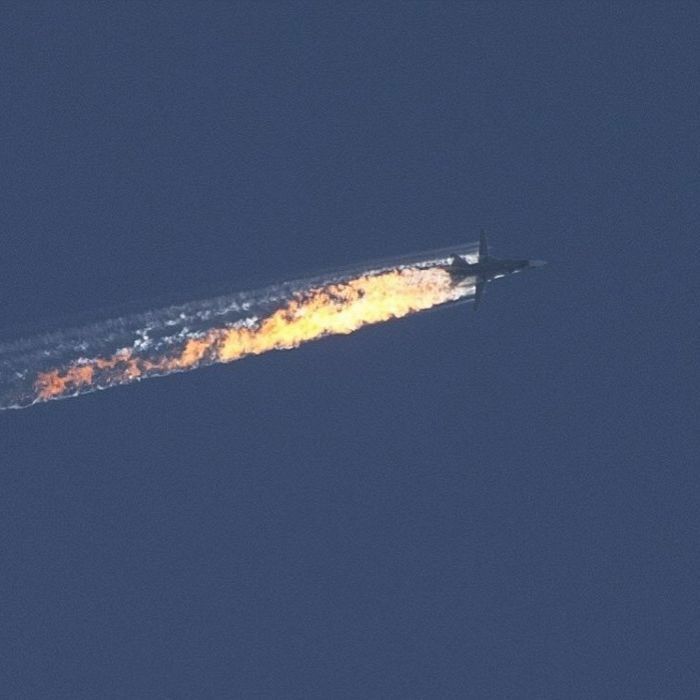 Turkey’s decision to down a Russian fighter jet was dictated by a desire to defend IS oil supplies to Turkey, Vladimir Putin says. The former Iraqi ruler Saddam Hussein was not executed as justice for crimes he committed, but for his opposition to Wall Street, political analyst Caleb Maupin told RT. The auction to sell the piece of rope he was executed with proves that, Maupin says. RT: The rope is currently in the possession of the ex-national security advisor, could you please tell us how it got into his hands? Caleb Maupin: The way the execution of Saddam Hussein was carried out, in a way that was meant to foment sectarian violence. It was an execution; it was staged in a formal way. It almost resembled the lynching with people from hostile ethnic groups shouting at him. 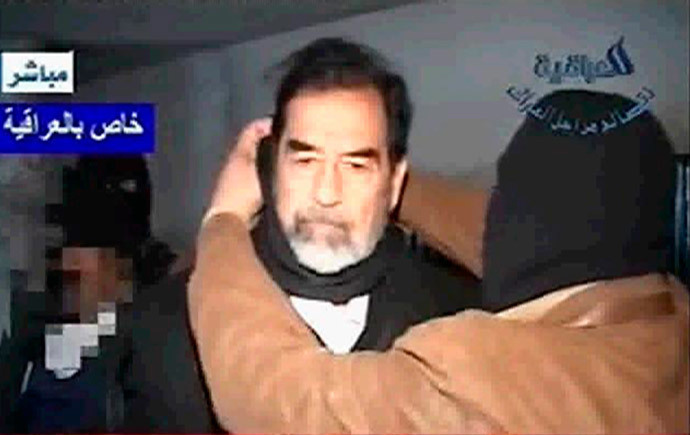 And the fact that the rope is now on sale is just a further confirmation of the fact that the execution of Saddam Hussein had nothing to do with justice rather it was about profits. Iraq was invaded because it had a state-owned oil company that was in competition with Wall Street banks and oil companies. And Saddam Hussein was executed not because of atrocities that he committed during the Iraq- Iran war, or any other atrocities he committed. He was executed for standing up to Wall Street and standing up to the forces that are really ruling the world, the forces of money and power. RT: According to reports, several bidders from Iran, Israel and Kuwait have offered large sums of money to get hold of the rope, what motivations do they have? CM: When Saddam Hussein was allying with the US during the Iraq- Iran war there were at least a million Iranians who perished as a result of his actions. But at that time he was in an alliance with the US. That is something that is not brought up in US media very often, it is the fact that at one point the US was very close to Saddam Hussein and had an alliance with him. However, it is important to point out that this just shows how cheap justice has become, when they are selling the implements of execution, put up for bidding. Profits dominate everything- nothing is really sacred. Look at all the countries the US has invaded whether it’s Iraq, Afghanistan, Libya, Yugoslavia, which suffered from US bombing. Never do they bring stability, never do they bring peace, they bring further chaos and destruction. War is really motivated by profits and this is just a further illustration of that. The people of Iraq right now live in misery – there is a refugee crisis. At least a million people have become refugees. Hundreds of thousands are dead. 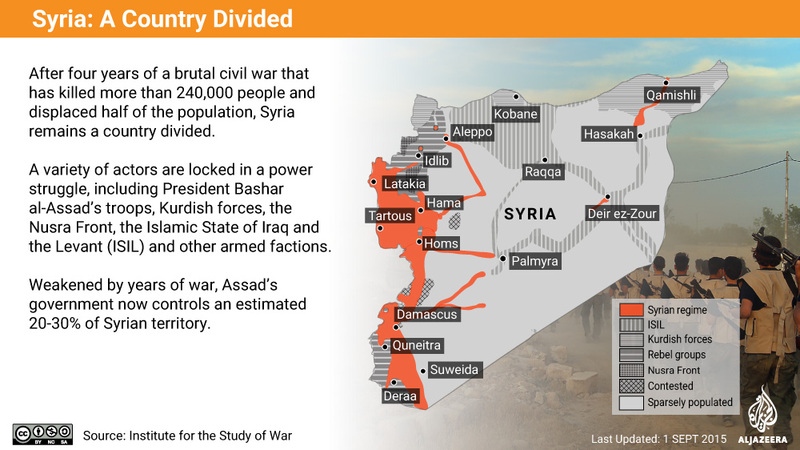 This is the result of the US invasion. And now the government that has been put in place by the US invasion is so corrupted that the very implements used to execute Saddam Hussein are up for sale on the internet. RT: Some activists say that this auction is inhumane and that the money collected should go to charities in Iraq. What’s your take on this? CM: The whole notion of auctioning off the implements for execution is really perverse and it illustrates what neo-liberalism and capitalism really is. The US said they were invading Iraq to bring democracy. 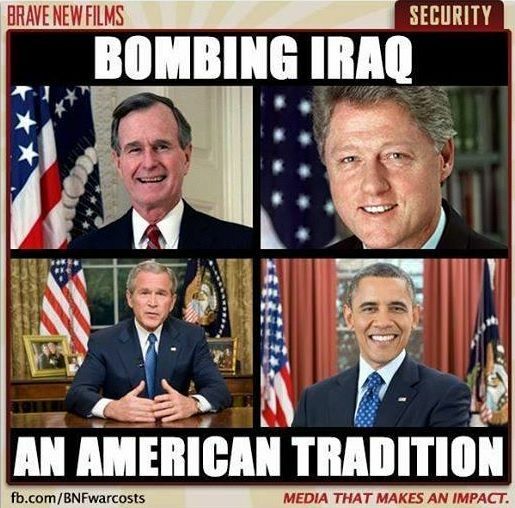 They weren’t really invading Iraq to bring democracy; they were invading Iraq to impose Western capitalism on Iraq and to impose the rule of Western banks over the Iraqi people. And that is what we are seeing here in the Western world, the neo-liberal world, – everything is up for sale, everything is made for profits. You have prisons for profits, you have private police forces, you have mass homelessness and poverty. This is the reality, this is the system that the US was exporting to Iraq, and this is just a great illustration of that system. Tough times ahead for the wealthy Gulf – Your Middle East. Cuba, the USA, Operation Mongoose and the Siren’s Song – English pravda.ru. Economic warfare the main Western weapon: The real reason for the drop in the price of oil is not competition between the US and Saudi Arabia or Shale vs Traditionall drilled oil. In the last few days it became clear that economic warfare is the main weapon used by the Transnational Elite, to subordinate Russia and integrate every other country still resisting the process, e.g. Iran and Venezuela. This includes also, the dramatic decline in the price of oil. The induced fall in its price. To sustain oil prices, Opec needed to cut output by about 1mbd. But it – or, more precisely, Saudi Arabia – has refused to do so. This has triggered the recent fall in prices”.However, Saudi Arabia is not just a very important player in the oil market. It is also one of the most absolutist, politically and ideologically, regimes on Earth. Politically, the regime is controlled, as an absolute monarchy. This fact does not prevent of course the Transnational Elite (well known for its fight for “democracy” all over the world!) to fully support this regime and to accuse, instead, Russia for absolutism! Ideologically, almost a quarter of its population is Salafis and most of the rest are Wahhabis. The essence is that they both represent the most puritanical, (i.e. conservative) approaches to Islam. It is therefore hardly surprising that Saudi Arabia and its ideology was enthusiastically embraced by the West, in the pre-globalization era, as a useful tool to fight Soviet influence as well as pan-Arabic socialism. 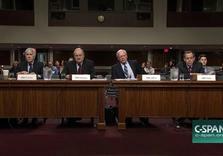 This was clearly shown for instance when Saudi Arabia supported in every possible way the Salafi jihadi, who butchered the peoples of Libya and Syria and only recently stopped supporting their offspring, ISIS, when they become targeted by the Transnational Elite for attempting to follow their own line in building an Islamic State. Unsurprisingly, the methods used by ISIS, like beheading which were repeated ad nauseam by the TE media in order to terrorize Western middle classes and justify its ‘war on terrorism’, have in fact been practiced for years by its client Saudi regime, with nobody in the ‘civilized’ West bothering much about it, as long as they were able to keep expanding their highly profitable business of arms selling to the regime. To this day, Saudi Arabia carries out barbaric executions against both criminals and political enemies, including victims accused of ‘sorcery and witchcraft’ in the aptly named, ‘Chop-Chop Square’ located in the capital of Riyadh where heads are literally chopped off by hooded swordsmen…. Saudi Arabia’s brutally repressive internal security apparatus is a creation of US advisors and operators. Its military, both covert and conventional, is also armed through astronomically large weapons sales (including a recent sale considered the largest in US history) by its Wall Street and London allies. The atrocities committed by the despotic Saud regime are directly facilitated by US advisers, operators, and arms. Saudi Arabia also hosts the US military, a sizable force until it was spread out amongst the orbiting despotic regimes of Qatar (note: see Aljazeera), Bahrain, Oman, and the United Arab Emirates. For the United States, low energy prices could help to stimulate growth to 3.5 percent next year from the October forecast of 3.1 per cent… For Russia, exports of oil and gas equate to 68 per cent of Russia’s total exports, and 50 per cent of its federal revenues. Russia has already spent almost $90 billion from its currency reserves in 2014, or 4.5 per cent of its economy to support plunging rubble that has lost more than 40 per cent from the start of the year. The Financial Times are (as usually) more frank than Western liberal “Left” papers in expressing their deeper wishes for a ‘velvet revolution’ in Russia as a result of the intensifying crisis and openly raises the question whether “Putin’s popularity can weather a perfect economic storm and “a fall in real incomes which will hit hard working class families in regions supportive of the president”. It is therefore clear that Saudi Arabia’s action in precipitating the dramatic fall in the price of oil was far from accidental. 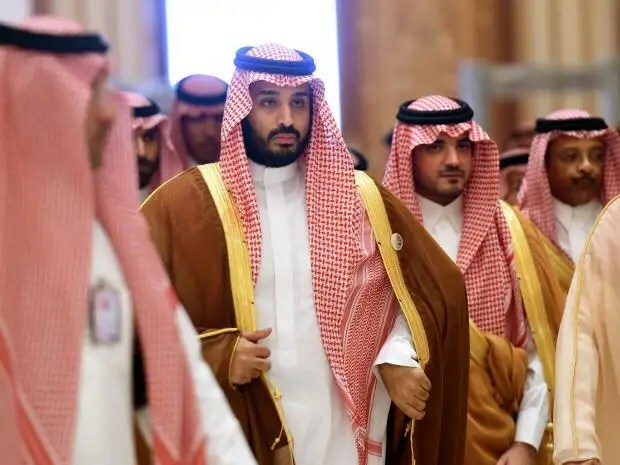 Furthermore, It was hardly motivated by a Saudi attempt to keep its dominant share in the oil market, supposedly threatened by the US shale oil production. This explanation, given by the ‘globalist’ faction within the Russian elite and the liberal “Left” in the West, was in fact an alibi used by the TE itself and the Saudis in order to disguise the real aim of this action. That is, the use of the price of oil as a highly effective weapon of economic warfare in order to force Russia and associate resisting regimes (like Iran and Venezuela) either to submit to the TE rule, or face a possibly severe economic recession (depending on how long the price of oil will be kept at very low levels) which could well lead to ‘velvet revolutions’ in all these countries and, possibly, to regime changes. The alternative “explanation” in terms of a supposed ‘war’ between S.A. and US not only “forgets” the client nature of the former to the latter. Therefore, only the building of an economic and political union of sovereign nations like the original conception of the Eurasian Union was, which would embrace the nations all over the world still fighting the NWO. This is the only way to effectively disable West’s economic weapon, which successfully led to the collapse of USSR and threatens a similar fate today to the aspirations of the Russian people for a sovereign Russia. * The article will also be published in The International Journal of INCLUSIVE DEMOCRACY. It was edited by John Sargis. From Pol Pot to ISIS: Saving Iraq by bombing everything that moves is Bolt’s advice. What only 2 bombs in a week he asks. If you listen to what U.S. presidents say, they always invoke freedom, peace, democracy and human rights as they launch their brutal forays into other countries. However if you look at what the U.S. does in the world, then it is clear freedom, peace, democracy and human rights are irrelevant to U.S. policy. The U.S. talks democracy, but doesn’t hesitate to cuddle up to brutal tyrants, nor to overthrow elected governments. Democracies were replaced by repressive and usually corrupt governments with power bases among the wealthy elites. The Chilean dictator Augusto Pinochet is among the most notorious for his reign of terror, involving torture, murder and “disappearances”, from 1973 until a popular uprising ousted him in 1990. Iraq played no role in the 2001 attack on New York’s World Trade Centre, but President George W. Bush used the attack as an excuse to invade Iraq, which was allegedly harbouring Al Qaeda groups. Somewhere between 100,000 and 500,000 civilians are reported to have died as a result of the invasion and subsequent fighting, effectively retribution for the 3,000 who died in the WTC attack. Meanwhile, Saudi Arabia, governed by a repressive family plutocracy, is maintained as a staunch ally of the U.S., even though it too is accused of supplying some groups in the Middle East accused of terrorism. The key, of course, is that Saudi Arabia hosts a large fraction of the world’s oil reserves. Human-rights abuses are being cited as a prime reason for U.S. intervention, yet the U.S. saw no reason to intervene directly in other barbarities ‒ even including genocide ‒ in places like Cambodia from 1975-79, Rwanda in 1994, the civil wars in the Congo over a long period, in Liberia in the 1990s, and many other parts of Africa and the world. The consistent factor in U.S. policy clearly is to defend or enhance U.S. “interests” — which means, in practice, the commercial interests of U.S. business. Oil underpins all the other interests. U.S. presidents have always allowed their foreign policy to be bounded by the interests of the country’s rich and powerful. Why is this apparently so beyond the critical faculties of what passes for Australia’s political conversation? That the US is doing what’s always been normal and can’t afford it so coopts us. Iraq will pay for this excercise whatever the outcome. There is already an overwhelming case, from global warming, for a rapid shift away from oil to renewable, non-polluting sources of energy, such as solar-generated hydrogen. The further pursuit of control over oil is wrong-headed in every respect, not least because of its costs in blood and money. As to the so-called leadership of Australia, it adds the spectacle of being a pathetic lap dog to all the US follies it chooses to be complicit in.